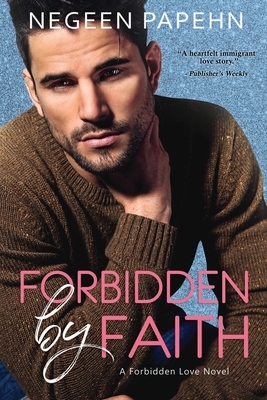 Sara knows her life would be easier if she married a man of her faith, but when has love ever been easy? Raised by her immigrant Iranian parents, Sara has been taught that a good daughter makes decisions based on her family's approval, and she's spent most of her life in their good graces. Until she meets Maziar, and her world is turned upside down. An instant electricity ignites between them, and it seems like fate when she discovers he's also Iranian. Just as her mind begins to soar with the possibilities, he shatters her hopes. Despite centuries of unrest behind them, Sara and Maziar embark on a forbidden love affair, attempting to navigate through cultural and religious prejudices. Deep within the trenches of their battle, Sara finds herself more empowered and careless than ever before, but will her love and newfound life be worth the ultimate cost--her family? Be sure to scroll up and hit that BUY NOW button to discover a world in which love faces the ultimate test.